The reform of the housing registration, or hukou system, has been under way in most regions in China following the State Council's call to establish a unified household registration system for urban and rural residents in a document issued in 2014. 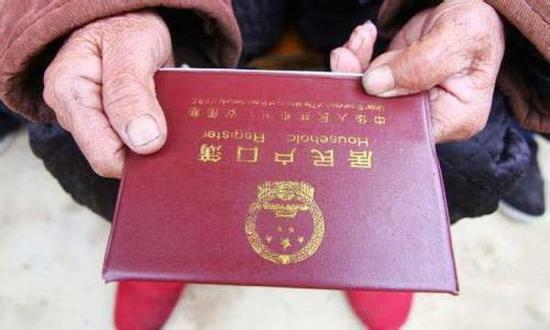 To date, 29 province-level regions, apart from Beijing and the Tibet autonomous region, have unveiled official plans on the reform of the housing registration system, according to China News Service. The plans have in general phased out the so-called urban and rural hukou and replaced them with more general terms such as residential hukou, family hukou, or collective hukou. In mega cities such as Shanghai, Chengdu, Wuhan and Xi'an, point-based hukou policies are prevalent. The policies, despite their variance in different places, generally take into account the factors of the legitimacy of a person's job and residence, insurance and a fixed number of years he or she has lived in the city. According to the proposals of the State Council, China should fully liberalize household registration in townships and small cities. Some provinces have adopted more relaxed measures. Southwest China's Sichuan province, for instance, extends the application of this policy to big and midsized cities. Guizhou, also in Southwest China, plans to remove the hukou restrictions in midsized cities, as well as in townships and small cities. According to the State Council, big cities should not require more than five years of social security payment for hukou applicants. The time limit has been shorted in some provinces. Central China's Henan province, for instance, requires two years of payment for the most, while East China's Anhui province, requires a maximum three years of such payment. The Inner Mongolia autonomous region scrapped the requirements on social security payment for Hohhot and Baotou cities to relax local hukou access.